Wallscape advertising is the largest form of outdoor advertising. Wallscapes are elaborate advertisements placed directly on the sides of buildings. They can be found on the sides of apartment buildings, parking garages, construction sites, and other high profile buildings throughout cities. Wallscapes are usually located in high-traffic metropolitan areas. Today we are going to take a look at the benefits of wallscape advertising! Wallscape advertising has more flexibility than traditional billboards when it comes to location. Since wallscapes are attached directly to exterior building surfaces, they can be placed wherever there is a building. Wallscapes can be placed in areas where other out-of-home advertising is restricted. They provide dominance over traditional billboards and other out-of-home media formats. Because of the sheer size of wallscapes, creativity is endless when it comes to design. Wallscapes are typically custom designed to fit unique shapes and sizes. A digital wallscape can incorporate creativity even further. Special effects and changing images command attention from pedestrians. Wallscape advertising brings the wow-factor to every outdoor advertising campaign! Wallscapes are giant. They are designed to fit sides of buildings. Wallscapes provide massive exposure in downtown urban areas due to size. They can be viewed from far distances on commuter and tourist routes throughout a city. These huge advertisements create a landmark in a city due to their long-term occupancy. 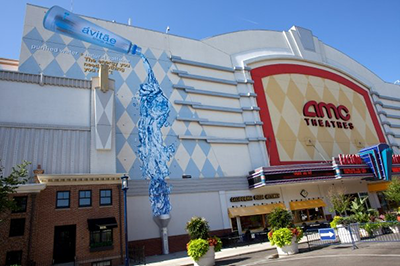 Make your brand larger than life with wallscape advertising! Check out BillboardsIn to get your OOH campaign started!